Trader Joe’s is a great grocery store for those of us that have dietary restrictions as they specifically label certain food items as gluten-free. This makes grocery shopping so much easier for me. I was perusing their website the other day and found that they have lots of great recipes. I found this recipe and decided that I had to try it. My husband and I eat a fair amount of spaghetti because it’s an easy go to meal during the work week. But I wanted to change it up a bit. This meal was not only delicious but it made quite a bit of leftovers. I even froze enough of it for another meal at a later date. I also added in a pound of ground turkey as I wanted a more substantial dinner. I just seasoned and cooked the turkey completely and then followed the rest of the directions in the recipe. 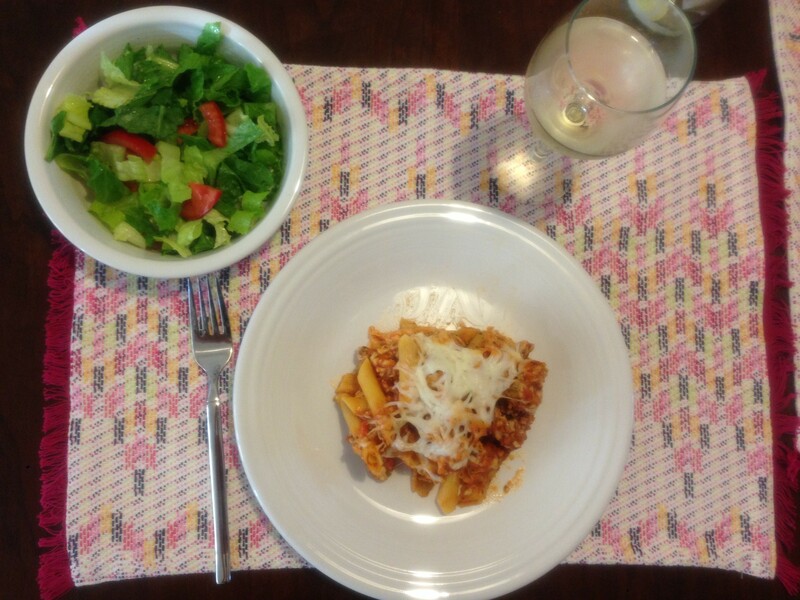 Overall, my husband and I really enjoyed the gluten-free baked penne and it only took me about 45 minutes from start to finish. Enter your email address to subscribe to Pacific Northwest Life & Style and receive notifications of new posts by email.